Meaning Making in Early Childhood Research asks readers to rethink research in early childhood education through qualitative research practices reflective of arts-based pedagogies. This collection explores how educators and researchers can move toward practices of meaning making in early childhood education. 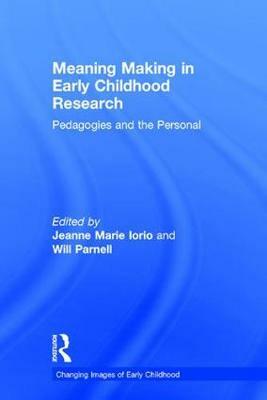 The text's narrative style provides an intimate portrait of engaging in research that challenges assumptions and thinking in a variety of international contexts, and each chapter offers a way to engage in meaning making based on the experiences of young children, their families, and educators. "This international collection of essays by early childhood practitioner-researchers embraces complexities and offers nuanced examples of the roles of qualitative and art-based methods in deepening our understanding of children's lives, meaning making, and learning experiences. Drawing from a rich and accessible array of theories in practice, Meaning Making in Early Childhood Research respects many languages, stories, and arts-based opportunities for learning from and with children. It invites readers to reimagine spaces that honor children while engaging in playful, embodied, and expressive opportunities that deepen our understandings of childhood."